Google’s attention is a precious gift, and nearly everyone with a website wants to get it by any means: writing catchy articles, implementing smart design, or engaging customers to share user generated content. While striving to make their sites “good for people”, most site owners neglect basic technical SEO recommendations, and lose organic traffic. Let’s go through the 12 most common SEO mistakes, and suggest some homework to increase your websites’ customer acquisition. Does the idea of drag-and-drop site builders’ attract you? Yeah, we get that. It looks so effortless to create your site within a few hours, no coding involved. But choosing this option means sacrificing the ability to gain Google’s attention via full control of your server. Robots.txt, sitemap.xml, and CSS files are not matters of indifference for search engine robots. Robots.txt contains the direct instructions for how search robots will index your site. 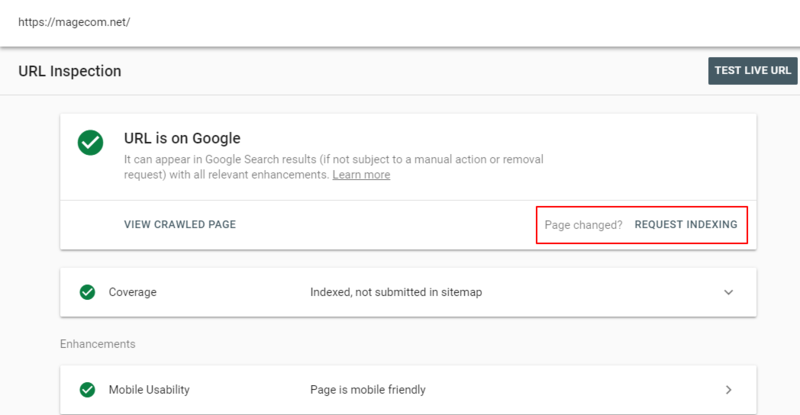 Sitemap.xml lists all pages in your site to make sure Google bots can crawl through all of them. And the weight of CSS files defines the loading speed of your website, which is a crucial pain point in 2019. With all of this in mind, having access to your server where all these things are stored might seem a bit more important. You might think: “the SEO masters said ‘the more pages – the better for SEO!’”, and you will be right, with only one detail. The more relevant landing pages – the better. In an ideal SEO world each page of your site should be relevant to a particular keyword, so the organic traffic will be channeled from Google search to it. And what happens when there are two identical pages with the only difference being – www or no www in the URL? The traffic gets dissipated, or Google won’t show any of the duplicated pages in search results. So, be careful to define the main version of your site – with or without the www- in your robots.txt file and let Google know about it via the Search Console, of which we will talk a bit later. Site structure defines how much organic traffic you would get, so you can’t just download a ready-made theme, name 5 product categories, and that will be it. Such mistakes as not devising the structure of your site according to its semantic core, may cost you the organic traffic, which comes to your site for free. As we have already mentioned in the Mistake 2, the main goal of SEO is to optimize site’s pages in a way that will help attracting organic traffic to it. So, first of all you need to write out all the possible search queries in which your products\services can be found on Google – this is the draft of your semantic core. Then upload this list to any keyword gathering tool (e.g. try Ahrefs, or Similarweb), and observe what other search queries may be relevant for your site, and what are their monthly search volumes. This will help you to understand how much traffic you may (ideally) expect monthly, if your site’s pages gain the first positions for each keyword. And what is also worthwhile – their grouping will shape the menu (the so called silo structure) and the filter structure of your site. Please, take note that the filtering pages may also be optimized to attract organic traffic. Some platforms, for example, Magento 2, allow you to make the filter pages (layered navigation) static, assign meta tags, title, and description to them, and even add text blocks. This way, when visitors type in a search query like “yellow jeans”, they’ re sent straight to the yellow jeans page (or filter page), not to the general category of jeans. Now that you have your menu structure in place, here comes another common mistake – in pursuit of creating the perfect SILO hierarchy, some site owners create very complex hierarchies with lots of subcategories nested one into another. Remember the golden rule of usability – the nesting level of each page on your site should not exceed 3 or 4 levels. Try to bring out every subcategory as close to the home page, as you can. This will help both your site’s visitors and search bots which are scanning your site not to get lost. Another clue to the menu structure is the popularity of the product\service. Let’s say, if you sell mobile phones and accessories, one of the most popular products on your site will be the iPhone; it’s the product visitors are looking for more often. So, it makes sense to bring this subcategory higher in the hierarchy, than any other models. You can just structure it Home page > IPhones to make them easier to find. Additionally, when you put a direct link to a category from the home page, it gets more PR and is ranked higher, because a general rule of thumb is that a site’s home page is usually the page that carries the most weight. There are different ways to implement such structures – via the grid menu, via special block “popular products” on the home page, etc. “We’ve developed the desktop version, and will get back to the mobile one later when we have the resources” is not an excuse in 2019. Going back as far bas as 2017 Google search has become mobile-first. Besides, statistics show that in the US, mobile traffic is already proving to make up more than 70% of general web traffic platform. So, newly-hatched ecommerce merchants of the world should trust our word: it is a wise decision to develop 2 versions of a site simultaneously, as it’s always optimal when both versions are created by the same designer, taking into account your business logic and customers’ journeys. If your choice is to buy a ready-made theme – that’s fine, just make sure it is responsive and loads fast on mobile devices. Please note that it may also mean that your site is loading too slow on mobile devices which is why it is ranking much lower in mobile search results page. In this case a well optimized mobile version will be a huge help. There are different SEO approaches to language version implementation. You can opt for either the subdomain approach, or subfolder approach. But, as you’ve guessed from the header, the first one is a mistake in terms of SEO. And that is why subdomains are considered to be separate domains by Google, and subfolders (yoursite.com/de/, yoursite.com/fr/) are considered to be a part of your site. The latter option is way better, because it’s easier to outrank your competitors with one, multipaged site with several language options, than with a set of separate language version subdomains, which have less pages and less weight. As for local SEO – you can add a “hreflang” tag to your pages to define the country and the language this page is relevant for, so that Google algorithms will understand which language version of your site to show to site visitors. It is very helpful for multilingual countries, such as Switzerland, for example. In this case you can add 4 hreflang tags with same country (Switzerland) and 4 different languages spoken in it (French, Italian, German, Romansh). 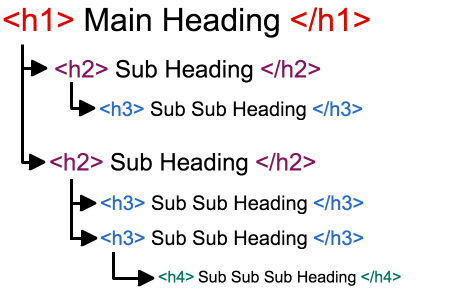 There should also be only one <h1> heading per page, and no service components (such as menus, buttons or contact form headings) should be marked with <h1><h6> tags. Why does it matter so much? See, the web technologies may change more and more with the passing of years, but Google site databases (Google index) still remain the giant library, or the archive where all the documents should be stored in order, each assigned with just one name clearly explaining the contents. Or, maybe you are confident that default generic values will do? No, they won’t. How do you know if they are generic? 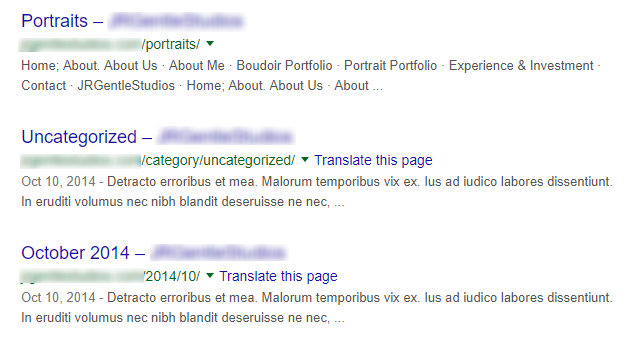 Just type ‘site:yoursite.com’ in the Google search field to see which snippets are being shown by Google – snippets usually consist of title and description you’ve filled in. On the example above you can see an example of no heed paid to the meta tags optimization. Some products became out of stock – just delete their pages and forget about it – out of sight, out of mind. That would be wise, if not for SEO. Deleting pages leads to an increase in 404 pages, and the more 404 pages on your site’s URLs, the less Google likes it. Keep that in mind – it is always better to change product images to “out of stock” notifications or darken them a little bit to let customers know of their unavailability. This will save the number of pages, meaningful for site outranking. Although from the customer’s point of view, the filter functionality is crucial for any ecommerce site, all of these filtering methods (by number of products on page, by line or by grid, by price, by popularity, etc.) are not needed for SEO. Ideally you would promote only categories, subcategories and blog pages, so all types of sorting would only contaminate your site indexing. To avoid this, you need to set ‘canonical’ tags for each category and set the directives in robots.txt file not to index the filtering. Performance report. Here you can see how your site’s pages are doing, what queries they are searched by, what countries they originate in, and from which devices. Now the data of the last 16 months is available according to Google blog. URL inspection tool. Allows you to test how Google “sees” your live URL and whether it’s optimized for mobile search, AMP, structured data, and indexing as a whole. You can also request indexing with its help. Index section. Here you can submit your sitemap to make Google “see” all the meaningful pages of your site, and get the coverage on all possible indexing issues your site may face. Links report. In this section you have the ability to compare your internal and external links and anchor texts, export them, and analyze. For free! If you’ve made all these mistakes and have absolutely no time to do your SEO homework – delegate it to the professionals via our contact form below. We’ll fix all of them cost-efficiently and your website ranking will touch the Google sky!